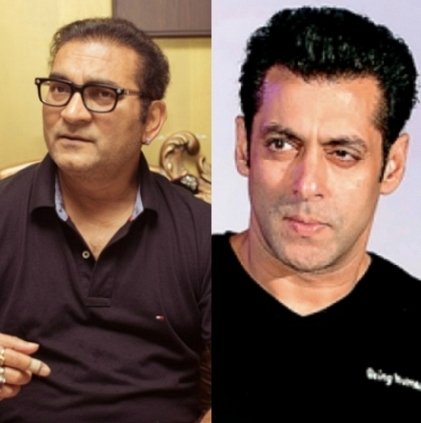 Singer Abhijeet Bhattacharya who had lent his voice for the title song of "Main Hoon Na" had apparently taken to Twitter condemning Salman Khan's act of supporting Pakistani artists. The singer who had earlier taken the side of Salman Khan in the hit and run case supposedly expressed that he regretted doing so. He also expressed his anger against Karan Johar and Mahesh Bhatt, on Twitter, for casting Pakistan artists in their films. The singer tweeted "Super stars don't watch news of #UriAttack #Pakistan killing, shooting, butchering Indians, they r busy too.. shooting with Pakis". He also said "Pakistani and Indian artists hv one thing common, both enjoy Indias Money, Love, fame and both r antiIndia anti #IndianArmy." Adding to the above statements he tweeted, "#FawadKhan shows true patriotism towards his country Pakistan whilst Bollywood, @BeingSalmanKhan is ashamed to show loyalty to India.. #mns." He also said "Bcos of our law machinery ..He #SalmanKhan is roaming free and supporting terrorism" . Tweets by Abhijeet Bhattacharya have not been spell checked and corrected.